Biking is my new favorite way to tour Washington D.C. You can rent bikes for a few dollars (that’s for the day, not per hour) and the bikes allow you to see more memorials in less time. 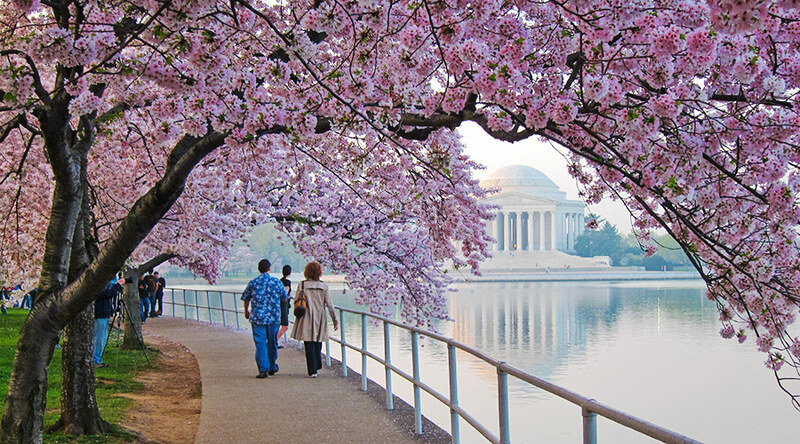 A great place to start is the Tidal Basin. The 2 mile loop Basin is surrounded by the Franklin D. Roosevelt, Martin Luther King, and Thomas Jefferson Memorials. 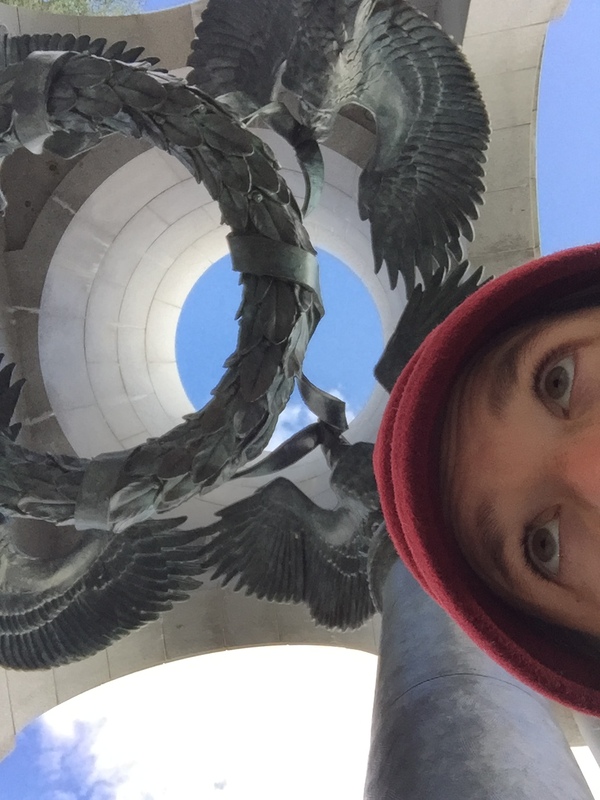 Half a mile away are the World War 2 Memorial and the Vietnam and Korean War Veterans Memorials. One more mile gets you to the White House to the north and the Smithsonian to the east. I could go on listing memorials, but the point is that there is a LOT to see in D.C. and a bike makes it easy to see most of them in a day. 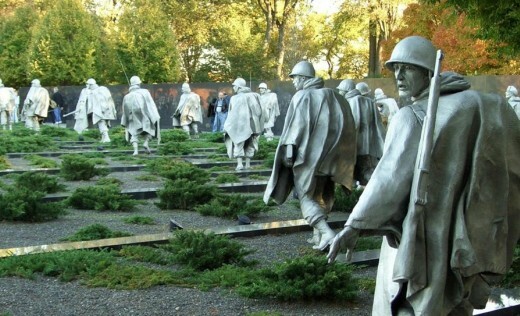 Washington D.C.’s memorials are beautiful places to remember our Veterans. 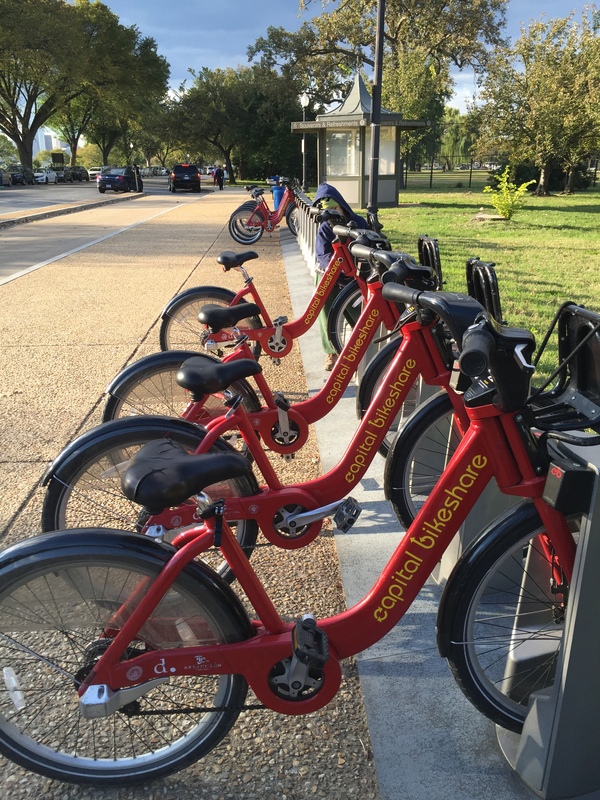 If you can’t make it to D.C., try biking around your own town’s center and see what you can discover!